Trail riding is the most popular horseback activity. It’s fun and relaxing, and a great way to spend time with your horse. It can also give you the opportunity to use your trail riding skills to compete against other riders, thanks to two organizations that sponsor competitive trail events. The oldest of the two organizations is the North American Trail Ride Conference (NATRC). Since 1961, NATRC has been sanctioning competitive trail rides throughout the U.S. Each ride features three different divisions: Novice, Competitive Pleasure and Open. Novice and Competitive Pleasure rides average 20 to 25 miles in one day, while Open can be up to 50 miles. Horses and riders are judged separately—the horses by a veterinarian, and the rider by a horsemanship judge. Horses are scored on soundness, conditioning and trail manners, while riders are evaluated based on their horse care, handling and riding skills, and their ability to complete the ride within a specified time period. 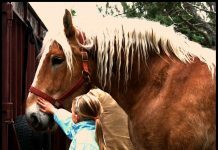 NATRC is an educational organization, and its primary goal is to teach riders how to take good care of their horses on the trail. Competitors learn to stable overnight at a campsite, condition their horses for long distance riding, and ride in a way that provides the safest, most comfortable experience for the horse. Awards are given at the end of each ride, with national awards given at the group’s conference once a year. 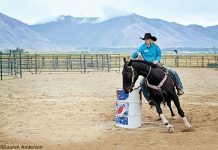 For riders looking for a technical experience on the trail, the American Competitive Trail Horse Association (ACTHA) holds Competitive Trail Challenge events around the country. Horses and riders are asked to negotiate a variety of obstacles on the trail, both natural and manmade. A judge is stationed at each obstacle, and evaluates the horse and rider’s performance as they negotiate the obstacle. ACTHA trail rides are six to eight miles in length, and typically feature six obstacles. Riders can compete in either Pleasure or Open divisions, or may enter the Scout or Buddy divisions if they want to participate in the ride without competing. ACTHA events last from two to three hours, and awards are presented after lunch. Fun awards are sometimes given, and may include Best Groomed Horse, Best Dressed Male Rider and Best Dressed Female Rider. Whether you’d like to learn how to ride long distance with your horse, or prefer a shorter ride with a focus on obstacles, trail competitions are the place to be. Newcomers are welcomed by both organizations, and getting involved can mean making new friends and spending quality time with your horse. For more information, visit NATRC at www.natrc.org, and ACTHA at www.actha.us. Liked this article? Here are others you’ll love. Audrey Pavia is the author of “Trail Riding: A Complete Guide” (Howell Equestrian Library, 2007).